In 2018, Team OddsShark is back and bringing even more of our friends and friendly competitors to challenge for NFL handicapping supremacy in the Westgate SuperContest! This year OddsShark will be represented by our betting expert Jon Campbell, and our team will be stacked with some of your favorite handicappers and the best football fans and writers around. 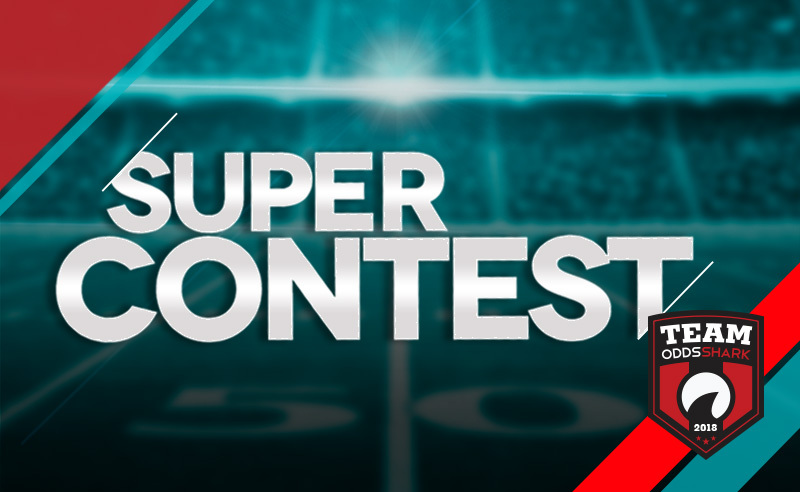 As the Westgate SuperContest has continued to grow, it’s possible the grand prize could top $1 million in 2018! Any contest is more fun when some of your friends and colleagues are involved, so we have invited some top bloggers and media personalities to join in the fun. For the fifth straight year, we’ll keep tabs on how everyone is doing, being sure to brag about our 5-0 ATS weeks and downplay our 1-4 weeks. And just because Computer won’t be in the contest doesn’t mean it won’t have picks for all of the NFL games on OddsShark each week. Just by making the same predictions you make each week in your free office pool, you could be earning your share of a huge prize pool. For more information on the contest, visit the Westgate page. To learn more about a ‘proxy’ service (a person on the ground in Vegas to make your weekly picks for you), click here.